Always remember, there's no such thing as a free lunch! 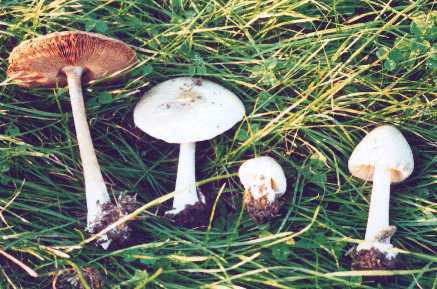 Before eating any wild mushroom make absolutely sure of the identification in a good field guide or the appropriate scientific literature. "There are old mushroom pickers, and there are bold mushroom pickers. 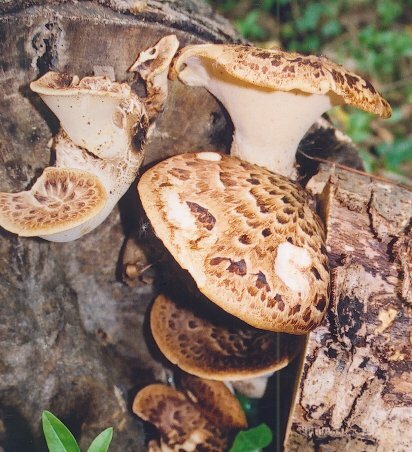 But there are no old, bold mushroom pickers!" 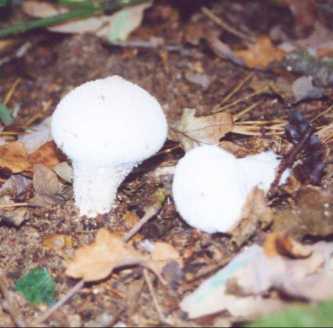 Mushrooms picked to eat on 6th October, 2001. 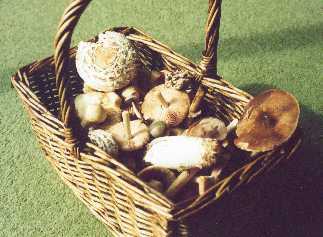 Good haul that weekend, lots of parasol mushrooms, pink gilled grisettes, small puffballs, agaricus, pluteus, some coprinus and boletus.